You would think that school would be paradise for a bookish, nerdy kid, like I was. But as any former bookish, nerdy kid will tell you, that was hardly the case. Sure, there was always lots to read, new books to discover, stories to talk about (and sometimes even write!). But there was a downside as well. So often, the books we had to read were old hat, or overly familiar. Things I’d read long before, or things I had no interest in reading. I lost track, early on, of the number of times I got caught reading the books I had chosen, not the ones assigned in class. I thought I had it all worked out: keep the book in your lap, and glance down to read when the teacher’s not looking. Keep the book you want to read underneath the book you’re supposed to be reading, with only a few lines visible at a time. It seemed like it should work, but I got caught almost every time. That didn’t stop me, though. I don’t think it stopped any bookish, nerdy kid. And we never forget it. We never quite grow up. Even now, decades later, I’m still that kid close to the back of the room, sneaking Tom Swift or Alfred Hitchcock and the Three Investigators or John Bellairs, when I’m supposed to be reading ... Funny. I can’t even remember what I was supposed to be reading, but those books I snuck? Those books I loved enough to risk the ire of the teachers, and the threats of the hallway or principal’s office? Those books became a part of me. In celebration of September, this is a special edition of the Shelf Talkers column, with Canada’s independent booksellers recommending books for young readers, the sort of books that are worth the risk, the sort of books that will stay with their reader, for a lifetime. From old favourites to books that are fresh on the shelves, there’s something here for every reader, both young and ... well, reluctant to grow up. 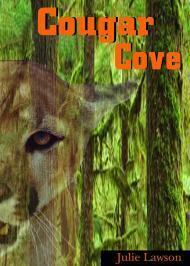 Cougar Cove was one of the first books I discovered for myself in the school library. I was fascinated by cougars, and was just starting to realize what would become a lifetime love of the outdoor. This book drew me closer to both of these subjects. Sam, the story's 11-year-old protagonist, is out of her element and homesick when she leaves her home in the city to vacation on the west coast of Vancouver Island. But her trip takes a turn when she discovers a cougar and her cubs while exploring in the forest. Exciting, page-turning, Cougar Cove is still one of my all-time favourite books (both to read and recommend) in the area of children's adventure writing. Kenneth Oppel’s new novel for young adults is heartbreaking, creepy, and completely engrossing. The protagonist is a young boy who believes that the “angels” who visit him at night can save his baby brother’s life. As the plot progresses, the boy realizes that the creatures are more threat than saviour. I couldn’t put down this novel. 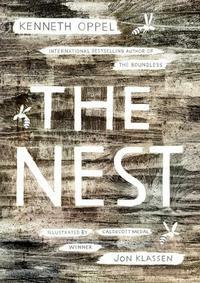 The Nest is an extremely sympathetic view of a child’s attempt to deal with grief, fear, loneliness, and his desperate need to save “the baby.” I wanted to reach into the novel to comfort him. I would highly recommend this novel to readers who enjoyed Coraline. 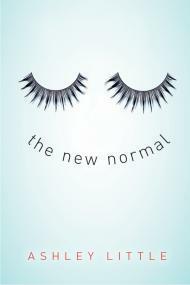 This is one of the best teen books I've read in a long time. Tamar is a strong, funny, clever, and unique girl who's dealing with some serious issues, including the recent death of her twin siblings and suddenly starting to lose her hair. You'll love her right from page one. 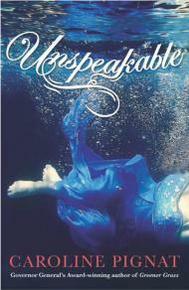 Unspeakable is an excellent read. I learned a lot about the sinking of the Empress of Ireland, which was the worst maritime disaster in Canadian history, and felt like I experienced the horror of it along with the main character Ellie. Along with the fascinating historical detail, there are interesting characters, mysterious backgrounds to be revealed, and some romance and plot twists to spice everything up. This is a book where you will learn something and enjoy every minute of it. 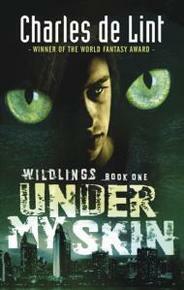 De Lint writes engaging, believable, well-rounded young adult characters who find themselves in both contemporary and magical realms dealing with situations adults would struggle with. The series is full of action, friendship, loyalty, sacrifice, and hope.